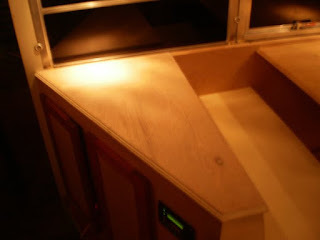 This is a pic of the trim that has been installed at the top of the upper cabinets. I have also installed this trim above the cabinets in the master bedroom. I also treated the stone in the kitchen and in the bathroom. 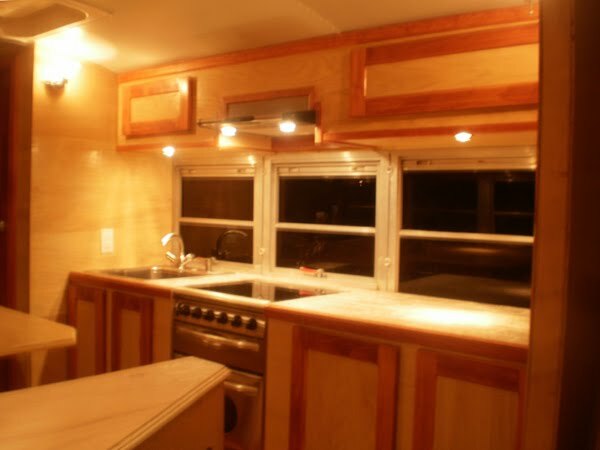 In this pic you can see the counter top (to the left) that sits at the very front of the bus behind the dinette seat next to the front door. It has been stained and still needs to be varnished. I also will be installing trim under where the windows are. 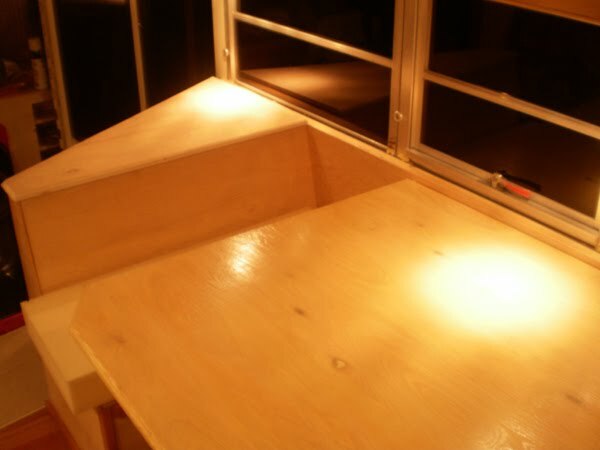 Here is a pic of the varnished counter top that sits right under the TV. 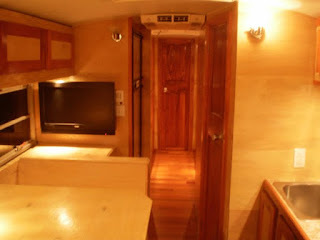 I also installed the door knobs on the bedroom door and the bathroom door. It is really getting close day by day. Not to much more to do. I really like the way that you have utilized your space...the counter top to the left of your dinette is a great example!